As the debates continue to rage this year about the fate of January 26, Australia’s national day of mourning, survival or celebration, depending on whom you talk to, we are reminded that Australia’s national legitimacy problem is bigger, deeper and more historically rooted than “Australia Day”. The annual “Australia Day” debates are upon us, accompanied by the usual surprise that a celebration of colonial dispossession and national stereotypes might not be met with heartfelt enthusiasm by the First Peoples of the continent. The fact that this year marks eighty years since the 1938 “Day of Mourning” and two hundred and fifty years since Captain Cook’s first voyage, might suggest why, for some, there is an air of jaded repetition about the debates and the ongoing refusal to listen to the full breadth of First Nations voices. Social media echo-chambers aside, these debates are not new, “merely symbolic” or “only about one day a year”. Nor are they reducible to a “snowflake” culture of easy offence, or resolvable through simple name or date changes. These debates are about historical, ongoing and structurally embedded forms of murder, racism, dispossession, injustice and economic and political disenfranchisement. So, just as racism is not (just) about “name calling”, the “Australia Day” debates are not (just) about “Australia Day”. What these debates also highlight is that all nations are marked by an impossible quest for legitimacy: a legitimacy of origin and purpose embedded within the prevailing political-economic status quo. This is particularly heightened in so-called “settler-colonial” nation-states, whose recent and bloody origins generate an anxious – often ceremonially repeated – desire to expel complexity, complicity and contradiction from national narratives and institutions. Of course, no such expulsion is possible (and we know what happens to the repressed). All are irreducible, founding elements that cannot be wished away by denial or easy sound bites about “national values” or unity. The anxieties at the heart of “Australia Day” stem in part from the clear lack of legitimacy in relation to the colonisation of the continent, and – crucially for the “get over it”, “we aren’t responsible for the past” brigade – the countless examples of ongoing dispossession, inequality and injustice for Aboriginal and Torres Strait Islander Peoples. History is always legacy. 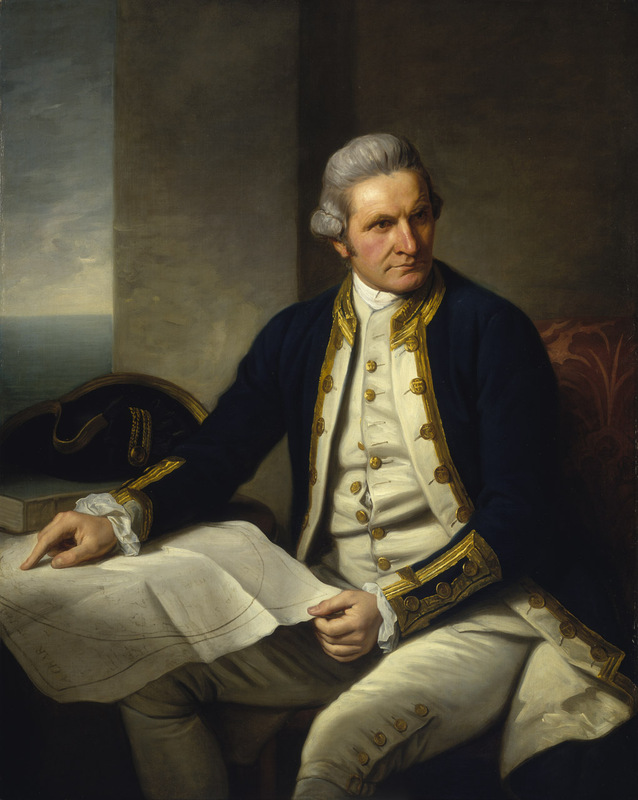 But this lack of legitimacy precedes the arrival of the First Fleet and stems in part from an intellectual sleight-of-hand hiding in plain sight in Captain Cook’s journals. Cook was presented with two choices by the British Crown: take possession of the continent if uninhabited, or negotiate some form of consent if not. Contrary to the popular representation of perceived “emptiness”, Cook’s journals present ample evidence of occupation. Acquisition by virtue of emptiness was out, but crucially Cook also sidestepped any attempt at negotiation or consent. Who knows where contemporary treaty negotiations may have been had Cook sought to do so. Instead, Cook carved out an intellectual middle-ground that attempted to separate occupation from ownership, making “consent” redundant. To do so, Cook first deployed a concept made famous by the English political philosopher Thomas Hobbes: the so-called “state of nature” (or ‘naturall condition of mankind’). For Hobbes, writing in the immediate aftermath of the English Civil War, this was a hypothetical state awaiting societies that fail to defer to an all-powerful sovereign. Such a state was one in which life would famously be ‘nasty, brutish, and short’. Cook claimed to actually find such a state among First Nations Peoples, despite his relative lack of knowledge and experience (‘We are to consider that we see this country in the pure state of nature…’). Such lives were not deemed to be ‘nasty, brutish, and short’, but Cook’s blindness, hubris or self-interest led him to misread this so-called “state of nature” as being a state of lack, defined, of course, by European standards. Although clearly incorrect, this produced an associative chain linking the state of nature with lack of industry (‘…the Industry of Man has had nothing to do with any part of it…’); lack of industry with lack of fixed habitation (‘They seem to have no fixed habitation, but move about from place to place like wild beasts in search of Food…’); lack of fixed habitation with lack of cultivation (‘…we never saw one Inch of Cultivated land in the whole Country.’); and, most importantly, lack of cultivation with lack of discernible property relations. This was the most important link in the chain because it allowed Cook to ignore what we might now call First Nations land rights, leading to nothing less than a Crown claim on the entire Eastern portion of the continent. In some ways, that date – 22 August 1770 – is as important a marker of the fate of the nation as January 26 1788. Knowing what came next, the stakes could not be higher or less reducible to disinterested scholarly analysis. But why would perceived lack of cultivation be sufficient to deny land rights? For this, we need to refer to one of Hobbes’ philosophical successors, John Locke. In a move that implicitly criticised the ownership of uncultivated land, Locke proposed that land ownership should be based not on mere possession, but on cultivation. By cultivating land (or having the potential to do so), one adds something to it, legitimating ownership. Conversely, uncultivated land implied lack of legitimate ownership. Following that logic, Cook had no need to ignore the evident signs of Aboriginal occupation. All he needed was to ignore the signs of Aboriginal cultivation (‘…we never saw one Inch of Cultivated land in the whole Country.’), and to suggest that European forms, and thus European colonists, were possible and desirable (‘…most sorts of Grain, Fruit, roots, etc., of every kind would flourish here were they once brought hither, planted and Cultivated by the hands of Industry…’). In one fell swoop, this falsely legitimated a wholesale denial of First Nations land rights. The door was opened to Imperial appropriation on a breathtakingly monumental scale, and the legacies of this are still being suffered and negotiated in Australia today. Such are the contingencies of Empire. Complex planning and foresight combined with self-interest, hubris, violence and arbitrary and logically inconsistent decisions made on-the-fly, but the British colonisation of Australia in 1788 was predicated upon it. These considerations may not be on the minds of many revellers on January 26, or indeed later this year as Britain in particular marks the 250th anniversary of Cook’s first voyage, but I for one will be marking both occasions with critical dialogue, not only in relation to “Australia Day” name or date changes, but in relation to the rest of the iceberg that lies beneath.